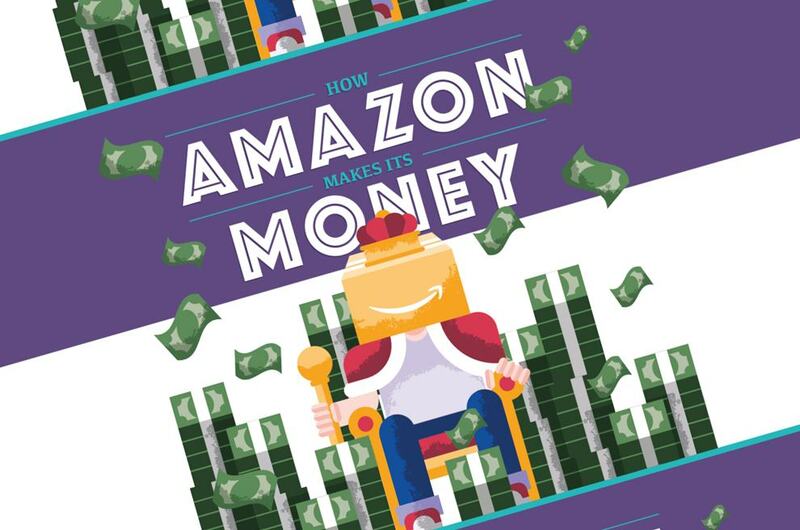 How Amazon makes its money (and how much money it actually makes) is somewhat of a mystery to many people. After all, most people have no idea that Amazon is larger as a single company than its 8 closest competitors. Amazon is bigger than WalMart by A LOT. But how does Amazon make all that money, anyway? For starters, Amazon has grown to be much bigger and much more diversified than its original footprint. Amazon started out as an online book retailer. Now it has the market cornered on smart home devices, e-readers, cloud computing, and more. Part of Amazon’s success comes from its business model. Profits are heavily invested back into the growth of the company, and failure is always an option. Amazon released its own branded smartphone a few years back, which was a total flop. But it paved the way to the success of the Amazon Echo. Rapid growth has not derailed Amazon, either. Many companies that grew so big so fast would have a difficult time keeping up. But Amazon’s business model is based on growth, giving the company the ability to enter new spaces at breakneck speed. So how do little sellers make the most of this massive and successful selling platform? Nearly 40% of the items for sale on Amazon come from a third party vendor, so making your product stand out from the rest is important. Home and kitchen followed by toys and games are the most common items sold by third party vendors, but you can always find your niche. Just be careful - with great Amazon comes great responsibility. Learn more about Amazon’s success from this infographic!